The first medieval universities grew up in Italy, France, and England, beginning in the late 11th century. At that time Europe began to undergo the commercial revolution. More people made their living by manufacture of goods and trade, and currency started to develop. The commercial centers of Europe, towns, increasingly became the centers of political and cultural life. As the merchants and craftsmen organized themselves into guilds, in order to regulate and promote the interests of their trade, professional teachers, or masters, also organized themselves into institutions that had a corporate legal identity and internal standards and practices. The universities emerged in an era of increasing mobility, growing social and cultural unity, and great intellectual energy in western Europe, both manifesting and contributing to those trends. Up to the time of Charlemagne (c. 800) education took place primarily in the monasteries, and its aim was fundamentally the development and transmission of religious knowledge and the training of monks. From the seventh century, cathedral schools developed under the direction of masters, to train clerics, princes, and nobles outside the monasteries in western Europe, but often this education covered only the most basic intellectual skills. The schools multiplied and grew in depth and importance under the reign of Charlemagne, who sought to raise the level of culture in his empire and to cultivate competent church officials and civil administrators. Intended as centers of culture in the new empire of the Franks, schools now were connected with the royal court and cathedrals, as well as with the monasteries. Under Charlemagne and more particularly under the direction of his administrator, Alcuin of York, the basic medieval curriculum was developed, consisting of the seven liberal arts, subdivided into the trivium (logic or dialectic, grammar, and rhetoric) and the quadrivium (arithmetic, music, geometry, and astronomy). The higher fields of learning were law, theology, and medicine. Emphasis on one or another of the liberal arts varied during the medieval period and is a good index of the prevailing mode of intellectual activity in a given time and place. In France and England the new schools soon joined together to form universities of studies, corporate societies representing the teaching profession, which were modeled on the guilds of skilled tradesmen. The universities held juridical status, with legal rights and privileges, including the right to organize their own affairs, and even to keep their own police force to maintain order in the sections of the cities where the schools had come together. In Italy the roots of the university lay in the gathering of students around experts in Roman law, who contributed to the ordering of the complex mass of canonical and civil laws developed in the early Middle Ages. Undergraduate instruction involved lectures and disputations. The basis for both was a collection of classical texts from the area under study. The disputations dealt with questions raised by the text, attempting to resolve them through a counterplay of arguments. The basic degree conferred by the university was the baccalaureate, which followed the completion of a course of studies. Examination requirements varied from university to university. In some universities, especially in Italy, attendance at lectures was sufficient; at others students had to demonstrate their skill in a disputation. Students who continued went on for their license to teach at the university level and eventually for the highest degree offered, that of a master, or doctor. The first of the medieval universities developed within a fairly short span of time across a wide geographical expanse. 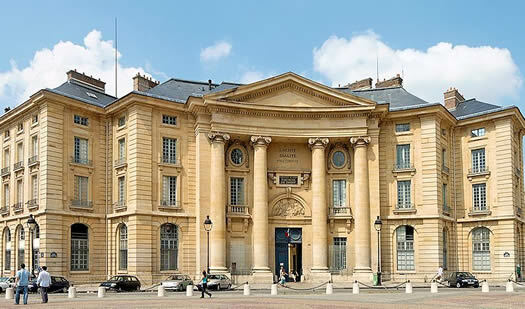 The universities of Paris and Bologna both have laid claim to being the first western European university, with their foundations dated to sometime in the late-11th to mid-12th centuries. The date of the founding of the university of Oxford is uncertain, but the pope sanctioned degrees from there in 1254. There were differences between the Italian and northern European and Spanish universities. The Italian universities, rooted in associations of teachers of Roman law, concentrated on law and medicine and gave less emphasis to theology and arts. Italian universities awarded doctorates, but almost never baccalaureates. Their students were usually 18–25 years old, somewhat older than at the northern universities. In Italy the majority of professors were married laymen, while in the north and Spain most were clergy. Instruction in Italy was through public lectures, and at Paris and Oxford teaching mainly took place in residential colleges. In Italy, there were no teaching colleges. The development of the universities was perhaps the chief social and cultural achievement of the Middle Ages. All the medieval universities had some regulations for the awarding of degrees, and thus served to institutionalize research and education. Of the 81 universities established by the time of the Reformation, 33 had a papal charter, 15 a government sanction, 20 both, and 13 none. They reflected and contributed to the growth of European social and cultural unity; the teachers and students in the more prominent universities were drawn from a wide variety of places. Above all the universities fueled and channeled the intellectual energy of their social milieu. Though often caricatured and sometimes ridiculed, they promoted serious research and sponsored the audacious project of attempting to integrate the whole of human knowledge.